November 1st and there is still plenty of good eating unaffected by weather in the farm garden. 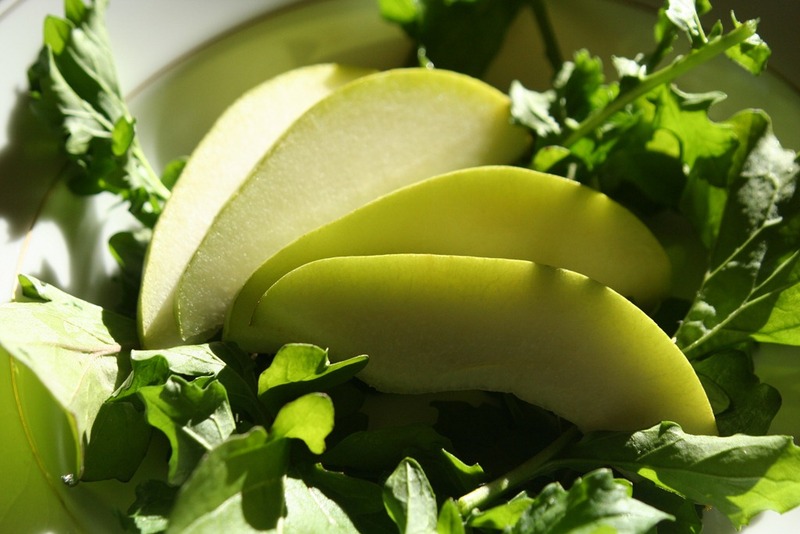 The aromatic arugula is young, fresh and tender. The Swiss chard and black kale are thriving and surviving. We are weighted down with an over load of Lutz winter beets, broccoli and cauliflower. I know I am pushing the proverbial envelope but I just can’t bring myself to cut all these wonderful winter vegetables back and prepare the ground for next season. Our good neighbours, Neil and Betty, have a winter pear tree. Every year we are the lucky recipients of their largesse. Under the cover of darkness, a large wooden box filled to the brim with pears mysteriously appears on the basement steps. 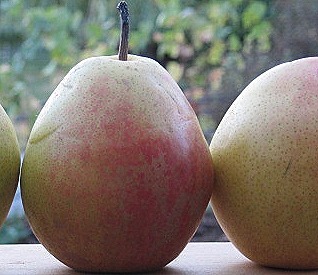 Winter pears should not be allowed to ripen on the tree so they must be picked green and hard. If allowed to ripen they get soft and rot from the inside out. The winter pear is not an easy find. It is yet another type of fruit that has fallen out of favour. My own arm chair philosophy is simply people don’t understand that winter pears are for storing and if stored properly will be delicious in deepest, darkest January. Store winter pears in a cool place or the crisper of your refrigerator for at least 3 or 4 weeks to allow them to “cure.” Then take them out, as you need them, and let them soften at room temperature- this will take another week or so. Like tomatoes, if any start to rot in the crisper, remove them so the remainder do not spoil. This way your pears and will last for months and you will be eating fresh pears at Christmas or you can make pear mincemeat and enjoy them in pies and tarts. The following is not so much a recipe but a guideline. Any ripe pear will do. Don’t have any arugula? Use what you have. 1. 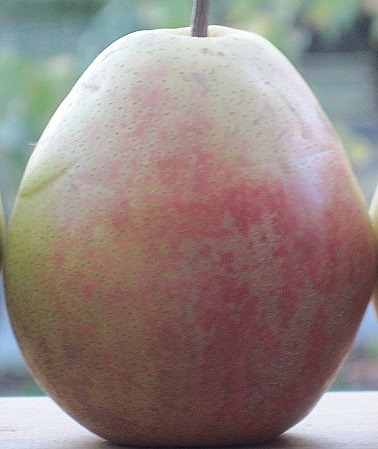 Cut pear into quarters and core. Peel if you wish. 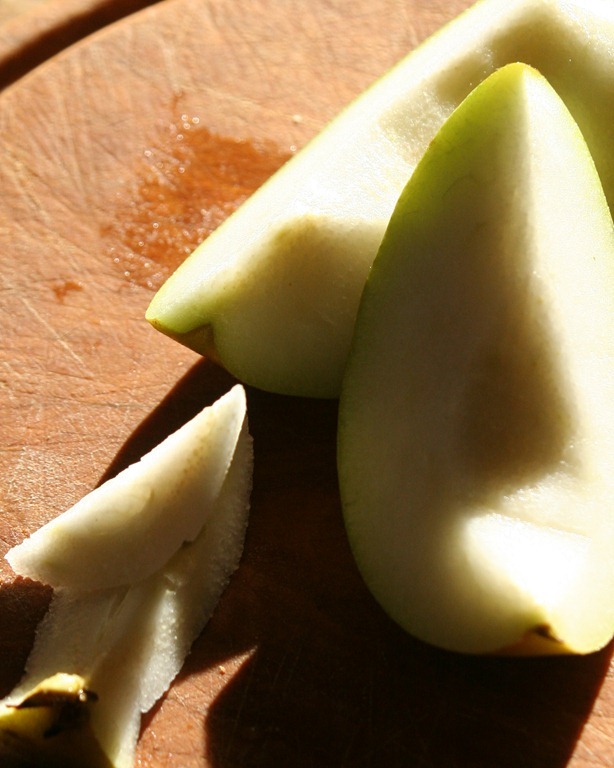 Slice thinly into three or four slices per quartered pear. 2. 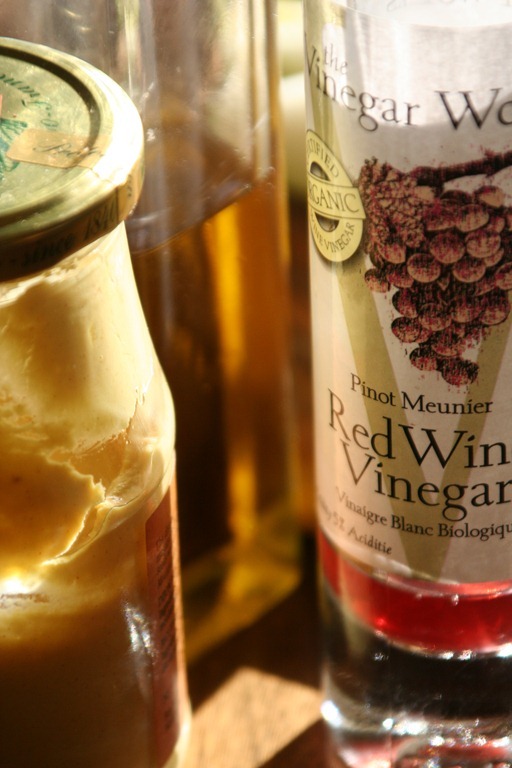 Whisk together oil, vinegar, mustard in a small jar. 3. Place arugula leaves on four plates. 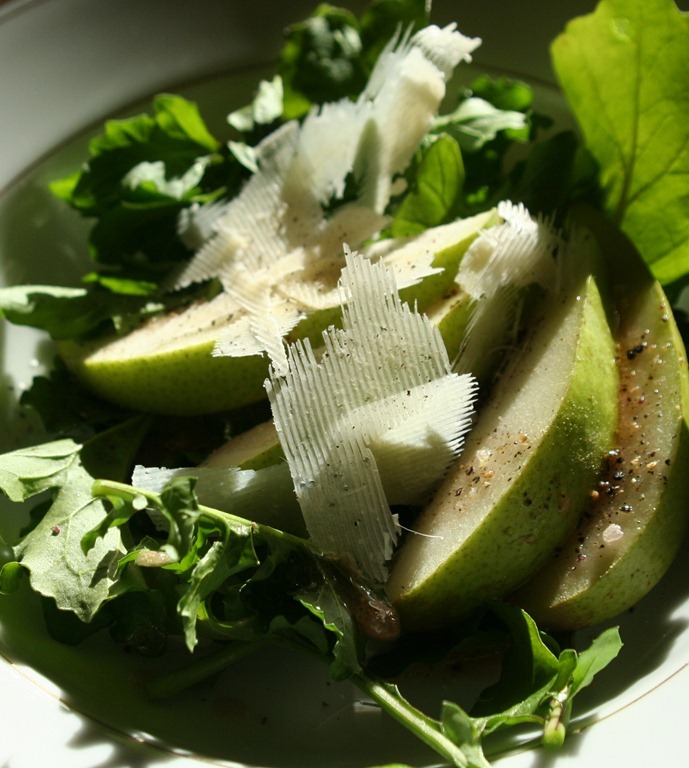 Compose the pears as you like with three or four slices per plate and spoon dressing over everything. Run a potato peeler over the Parmesan cheese to make cheese shavings. Top salad with shavings. Season with those finishing salts you never know what to do with and freshly ground black pepper.